I was reading an article by the firm Drinker Biddle today which discussed trade secret protection over customer lists. One particular comment caught me by surprise. The article suggests that establishing economic value over a trade secret is relatively easy to establish. I respectfully disagree. As my readers know, trade secret laws place a two-part burden on a plaintiff to establish the existence of a trade secret. 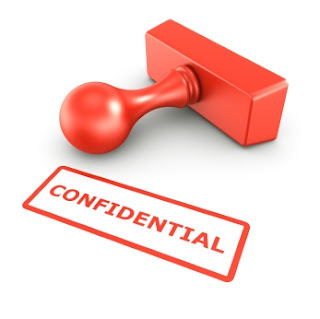 A plaintiff must show that the information is economically valuable from being secret, and that the information is the subject of reasonable secrecy measures. The first part of the test, though, can be incredibly difficult to establish. In the case of a customer list (which the Drinker Biddle article discusses), an employer may be able to claim that a list is economically valuable in the sense that it spent money advertising and marketing to the customers on that list. But is it really that easy to show that the list is economically valuable "from being secret"? I don't think so. A plaintiff may not be able to account for the fact that the details of its list frequently change or evolve, that key parts of the list (say contact information) may be gleaned from public sources, or that major parts of the list can be obtained from commercially available databases. This is particularly the case with a prospect or target list. At a minimum, a trade secrets plaintiff must identify the witnesses who can establish that information is valuable because of its secrecy. That is to say, those witnesses (likely, experts) must be prepared to testify that comparable information is not known by competitors or being used in the industry, and that such information provides true competitive value in very specific ways. The bottom line is that a trade secrets plaintiff carries a necessarily heavy burden. Courts rightly favor the free exchange of ideas and vigorous competition. Allowing a plaintiff to establish trade secret status over information that is merely valuable - as opposed to being valuable because of secrecy - would undermine this critical policy goal.